Did you know that it was Chloé that introduced the whole concept of ready-to-wear? That Chloé invented one of the first EVER It bags? That Chloé was the first luxury brand EVER to optimise its website for mobile use? Probably not. But Chloé is a brand that's directional and revolutionary in every sense of the words. Founded by the Egyptian-born Gaby Aghion in Paris in 1952, its first collection was presented at the Café de Flore, a regular meeting place of the artistic Left Bank. Chloé’s roster of both designers and clients is undeniably A-list, from Karl Lagerfeld, Stella McCartney and Phoebe Philo to Jackie Kennedy, Grace Kelly and Natalie Portman. And the brand today, under the creative direction of Natacha Ramsay-Levi, is gaining a whole new level of buzz. Natacha, like Gaby before her, looks set to shake things up. She’s well versed to do so: Natacha cut her teeth working under Nicolas Ghesquière first at Balenciaga and then under Louis Vuitton. This season, Natacha continued the theme of firsts by introducing Chloé’s first-ever streetwear-inspired sneaker. Yes, really; the Parisian brand renowned for its gauzy feminine dresses, bohemian charm and sharp tailoring has produced a chunky space-age sneaker. It’s a completely new direction for the brand but such has been the popularity of the Sonnie sneaker so far that it’s already been carried over to next season. Will they be the new must-have Chloé item? Or will it be the terra-cotta velvet suit, incepted for spring/summer, covered in mini embroidered horses? (The brand has a somewhat unofficial heritage with equestrianism that stemmed from Stella and Phoebe’s mutual love of the animal.) The two-piece—comprising high-rise trousers and a single-breasted jacket finished with a signature D-ring belt—sent fashion editors into a frenzy. This was the power suit, but better. Chloé is renowned for its cult pieces. From the banana top designed by Philo to the padlock-adorned, wait list–generating Paddington bag released in 2005—before waiting lists for fashion items were even a thing. Later came the Suzannah boots, pixie-style flat shoes with an almond-shaped toe covered in buckled straps and hundreds of studs. First released in 2008, the boots returned in 2012, such was demand. Chloé designers have reinvented the brand’s now-classic pieces multiple times over the years. The miniature Drew bag—reminiscent of the satchel first introduced in 2014—has been turned this season as the Drew Bijou, with tons of gold hardware and an interlocking chain strap. The Faye bag, with its ’70s bohemian spirit meshed with punk hardware, is now part of a series that includes bracelet bags, wallets and backpacks alongside the traditional Faye day bag. The fact is that everybody today wants a piece of Chloé. Or, rather, everyone wants to be a #ChloeGirl—a hashtag coined by the brand in 2014 to spread the Chloé sensibility far and wide. Long before #GanniGirls or #MangoGirls existed, there was the #ChloeGirls—and these women who were independent, carefree, insouciant and alluring. 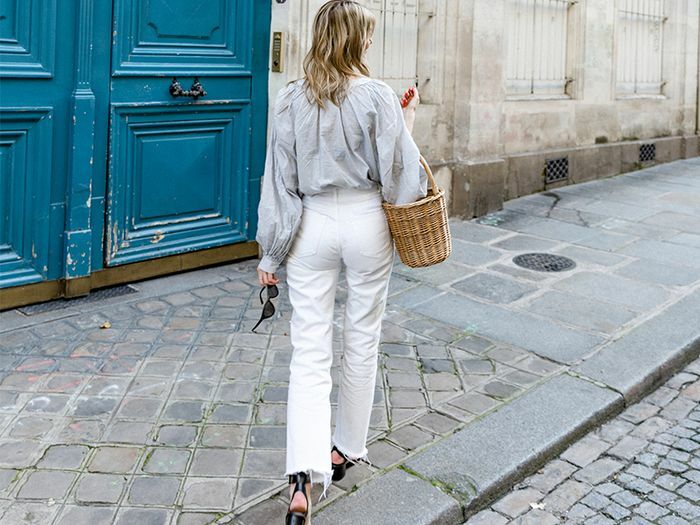 For the first time, a fashion following became a tribe; being a Chloé Girl was an identifier; you were in the know. Part of the gang. #ChloeGirls wearing the popular Chloé Rylee boots. Like Tarzan’s Jane, but Parisian.